Despite numerous storefront vacancies in the downtown area, those directly involved with its redevelopment see a bright future for the town. FAIRFIELD — Three years ago, a high-profile town landmark was re-purposed as senior housing, capping off a $6.5 million renovation project that transformed the long-vacant Gerald Hotel into 28 units of housing for seniors in the downtown area. During the renovation phase, the working theory was that by investing into the project on Western Avenue, the local economy would stand to prosper. Project employees would eat at the local restaurants during construction. The hope was more businesses would follow into the downtown area, filling up other vacant storefronts and empty lots. 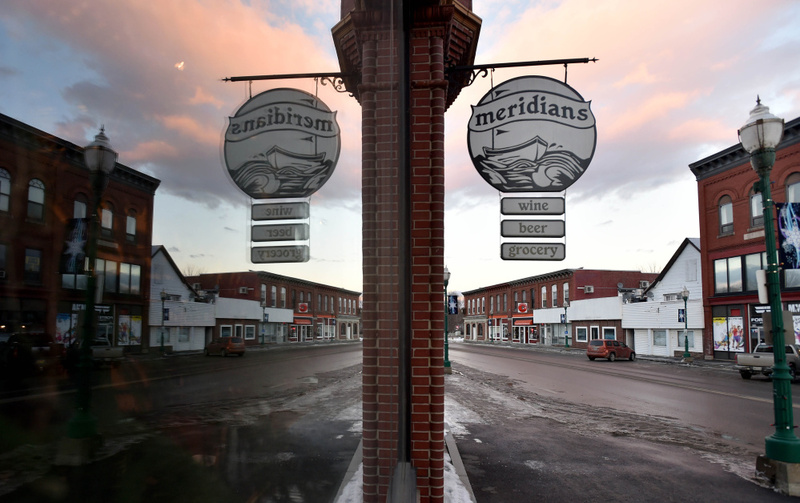 Today, the first floor of the old hotel is occupied by Meridians, a wine and craft beer retail store. 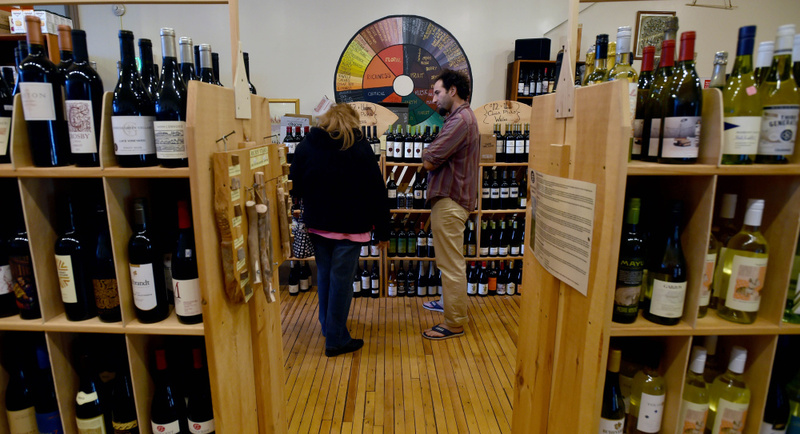 It opened its doors in 2014 by three business men emphasizing wine, craft beer and local food. A few months later, another new business came to town when the Dancing Elephant II opened on Main Street. 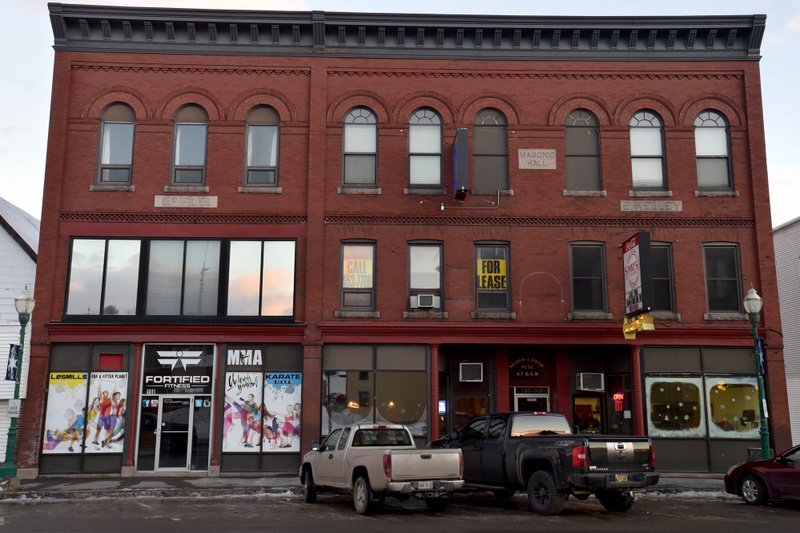 These businesses, in addition to pre-existing downtown locations such as Sonny’s Pizza and the Cheung Lee Express restaurant, have lead to hope for the future. 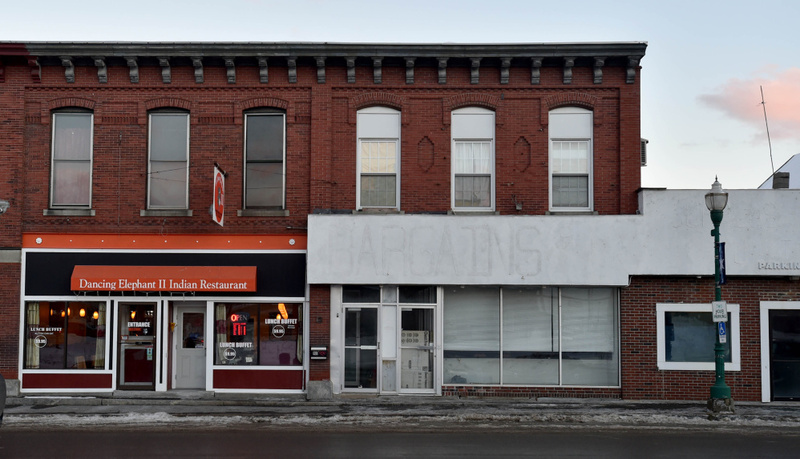 But while prominent vacancies remain in the downtown area — most notably the empty lot that was home to the former Joseph’s Clothing and Sporting Goods store before it was demolished — hope abounds among merchants and local officials for the economic future of Fairfield and the region. David Gulak remembers opening Meridians nearly three years ago, thinking Fairfield needed a business like his. It wasn’t until the Gerald Hotel had been finished that he and his business partners had the idea to open Meridians, but he said he had always been interested in downtown Fairfield. “I joked it was the beautiful stepchild of Waterville,” Gulak said in an interview. The store seemed almost out of place; it’s offerings are more typical of a store in downtown Portland than in central Maine. But Gulak said there was a need for the business. 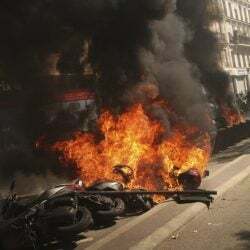 Try as they might, he said they couldn’t find craft beer or high quality wine anywhere in the area. So they decided to change that and opened up shop in the Somerset County town. He said that’s lead to questions. People ask him why open up in Fairfield, and while they mean it in good spirits, he said people often ask if the business is succeeding. And he says they are. “I think people are pretty desperate for cool stuff,” he said. Donegan explained the role of the growth council is to promote economic development regionally, made up of 75 investors ranging from large employers like hospitals and colleges, to small “mom and pop shops.” The group helps municipalities write and apply for grants, learn about financial tools available to them and help recruit businesses to the area. Fairfield Town Manager Michelle Flewelling said she has seen a lot of activity within the past six months, pointing to educational institutions Good Will-Hinckley and the Kennebec Valley Community College for having solid ideas for future growth. Flewelling said the Dialysis Center, Inc. is located in Waterville but is building a facility in Fairfield. “I think there’s a lot of people in the town of Fairfield that are committed to seeing it grow and prosper,” Flewelling said. Bruce Harrington, assistant vice president and commercial loan officer at Skowhegan Savings Bank, said the town wanted to come up with a vision to revitalize the downtown region and riverfront area. “Clearly, you look downtown and there are some holes,” said Harrington, who is also chairman of the town’s Economic and Community Development Advisory Committee. Other vacant spots remain, though. A lot on Main Street owned by Irving will remain unused “for the foreseeable future,” Harrington said. But there are things the town can hang its hat on. Harrington said the riverfront area is already getting more use than ever, thanks to a recent clean up effort. “We’re looking at using the waterfront more,” Harrington said, adding there was the possibility of hosting events there. Harrington said there are also plans to focus more on families and children when redeveloping areas, and to create a place that the kids want to come back to once they get older. He also pointed to the possible relocation of the Winslow Fourth of July celebration to Fairfield as signs of progress. Geographically, Fairfield is a unique place. With a population of about 7,000 and a square mileage of roughly 54 miles, the town is one of the larger ones in central Maine. It shares a border with Waterville, in northern Kennebec County, and is the southernmost gateway to the main artery of Route 201 into Somerset County. Donegan said it was Fairfield’s location that set it apart, as it is just about an hour from both Bangor and Portland. 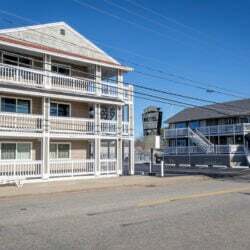 Harrington also pointed to the fact the town is situated with two access points to Interstate 95, a benefit that both Flewelling and Harrington also point to. “I see that as being an exciting prospect for us,” Flewelling said. Because of its geography, officials think Fairfield has a lot of potential for future projects. Donegan said the town is poised for growth, both in employment and in gross domestic product. With a relatively low cost of doing business, plus with land available for development, he said the town is a good place for businesses to come. For downtown, he envisions more mixed-use development, with commercial businesses on the first floor of buildings and more apartments on the upper floors to continue to make downtown a livable and walkable area. Harrington said a major selling point for Fairfield is that there is a lot less “red tape” to start a business here than in other towns. The town is certified as a “business friendly” community by the state of Maine, meaning it is part of a statewide business attraction strategy. That, coupled with good housing stock both in the downtown and rural parts of Fairfield, make for an idea place to do business, Harrington said. Flewelling said the town has three tax increment financing districts, which is a tool municipalities use to subsidize various community, infrastructure and redevelopment projects. Those TIFs are for the downtown area, for Industrial Road, and for areas surrounding the Summit Natural Gas line. However, Fairfield is not without challenges in further improving economic development. Donegan said the same challenges facing Fairfield are the same ones that face all cities and towns in Maine: there is a labor shortage. He said a reduction in the working age population makes it challenging to start businesses and recruiting workers. To push back against that, Donegan said the town needs to “build a robust labor pool.” He said this is an opportunity both for Fairfield and other towns to lead the way in business development. “These challenges are a huge opportunity for leadership,” he said. Harrington said a major challenge facing Fairfield in terms of economic development are its history and perception. He said the perception that people aren’t here, as well as driving through the downtown area and seeing vacancies, are drawbacks. “The drawbacks aren’t specific to Fairfield, it’s regional,” he said. However, Harrington said he thinks Fairfield is more on the business radar now than in past years. He said with the available space for businesses, as well as access to the interstate, he didn’t see the town’s rural nature was a problem. “We have it all for business needs,” Harrington said. Flewelling said one challenge the town faces is many new businesses don’t want to construct a brand new building; they would rather use existing infrastructure. And while Fairfield does have its share of vacant storefronts, those might not fit what a company is looking for. To address this, she said the growth council has been compiling a list of vacancies so the town knows what its inventory is and finding how to best fit a business’s needs. “We’ve been working on trying to start one for a while,” Gulak said. The future of a town’s economic development often lies with the capability of its workforce. Donegan and Harrington both pointed to the workforce coming out of the local colleges as an advantage to the future. Richard Hopper, president of Kennebec Valley Community College, sees the college’s role as a key one in terms of developing the town and region’s economy. 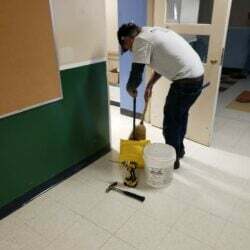 The college, which expanded to two campuses spread across town, has about 2,400 registered students who are trained to immediately contribute to the local workforce and that the labor pool is up to date. He said it was important to train the students with the most up to date training there is, so when students graduate and become employed at a manufacturing plant, for example, they have been trained on the most up to date machines available, so there won’t be a learning curve. “That’s really the primary goal of a community college,” Hopper said. There is also hope that the Harold Alfond Foundation and Colby College donation of $20 million into downtown Waterville will pay dividends for Fairfield and other surrounding towns. Harrington said there will likely be a “spillover effect” for everyone. A revamped downtown Waterville will result in more employees, who may live in Fairfield or come to town to eat or shop. Hopper also pointed to the growing partnership the community college has with Good Will-Hinckley as a way to reach people in towns farther away from Fairfield and Waterville, such as Skowhegan, and draw them in for college classes and activities. “If we could get grant to do entrepreneurial work, I think it will go a long way,” he said. But still, Gulak said any money put into the area couldn’t hurt. 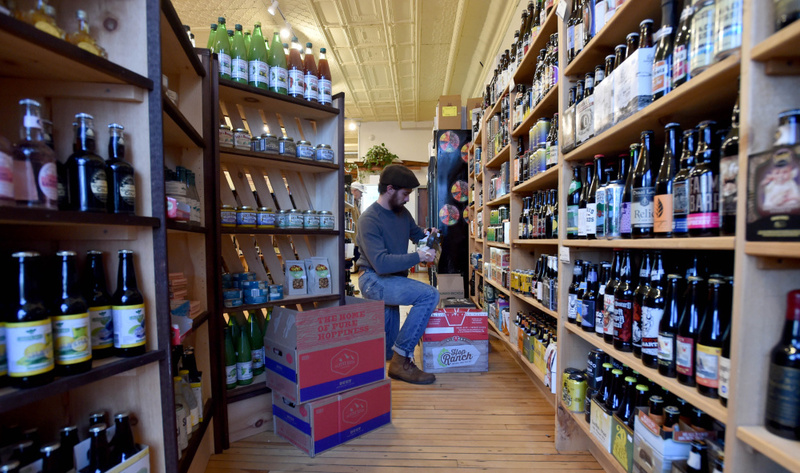 He said it may lead to competition among smaller towns, saying that if a craft beer and wine store opened in Waterville that could draw customers away from Meridians. That being said, he’s “all for it” if that happened, because it would benefit the region. Gulak, 36, said there is somewhat of a youth movement happening to redevelop the downtown of Fairfield. He said more younger, modern thinking is what’s needed to really make things happen, as it’s more of a “ground up” movement. Gulak also praised the town staff and government for helping the cause.